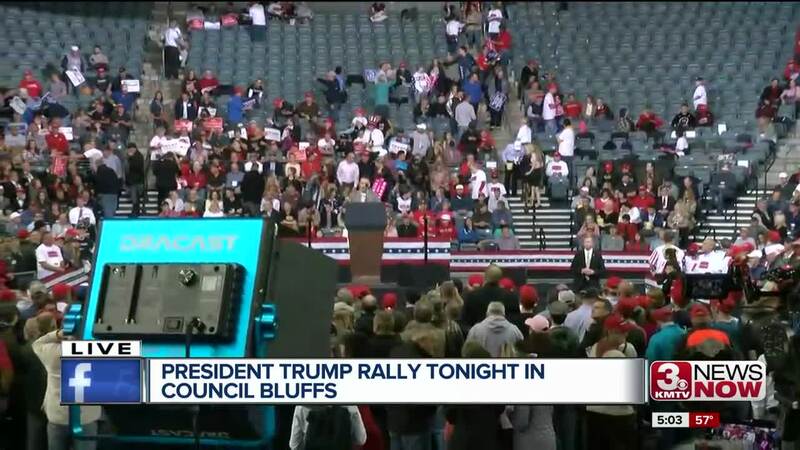 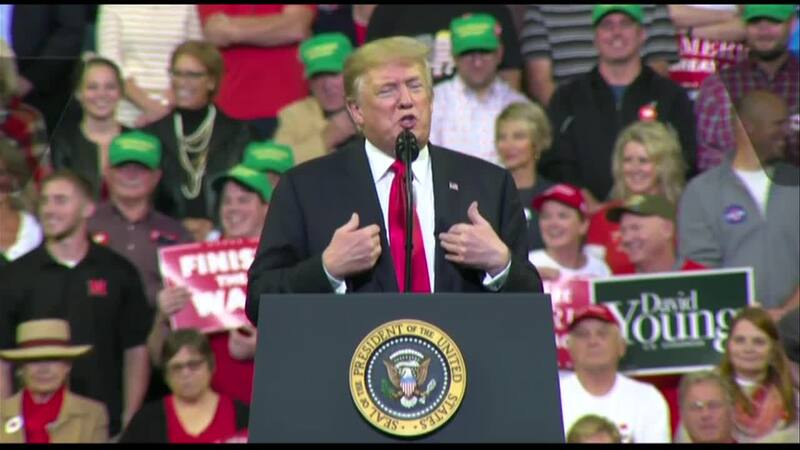 President Trump visiting Council Bluffs to speak at a Republican rally. 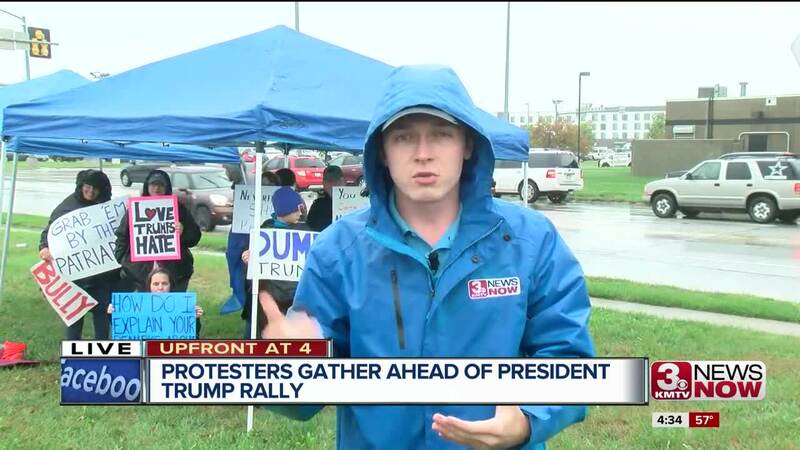 OMAHA, Neb. 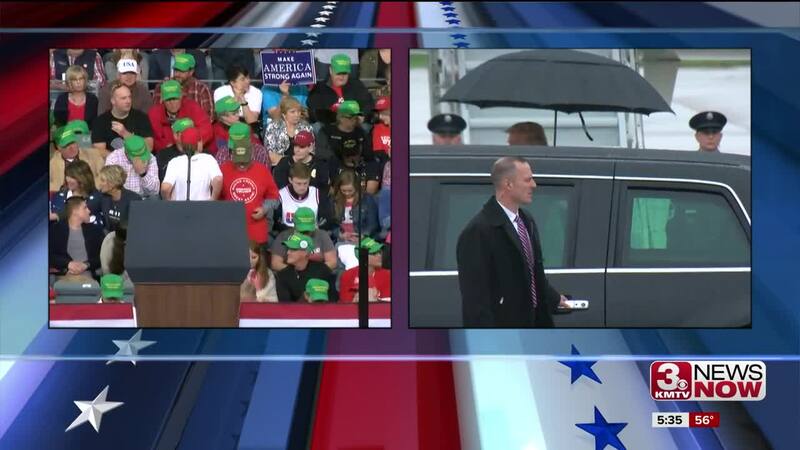 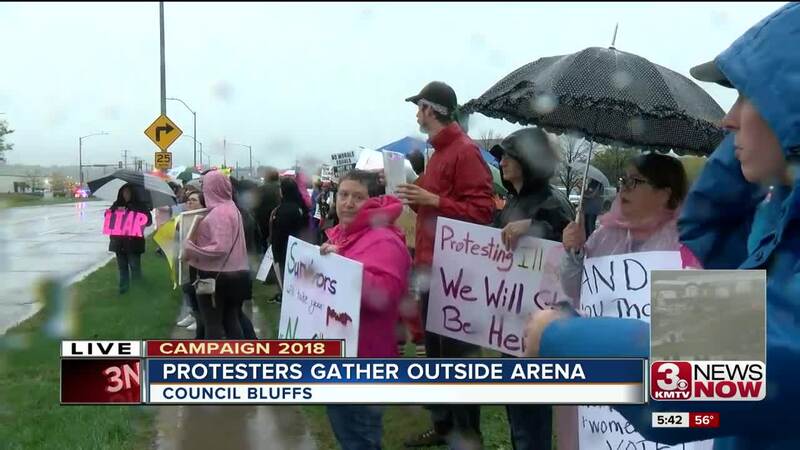 - Air Force One touched down in Omaha just before 5:30 p.m. Tuesday, and the motorcade made its way to the Republican rally already in progress at the Mid-America Center in Council Bluffs. 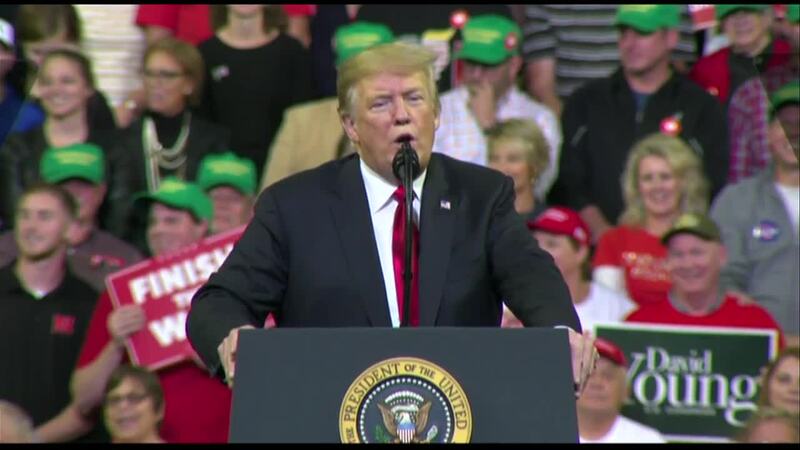 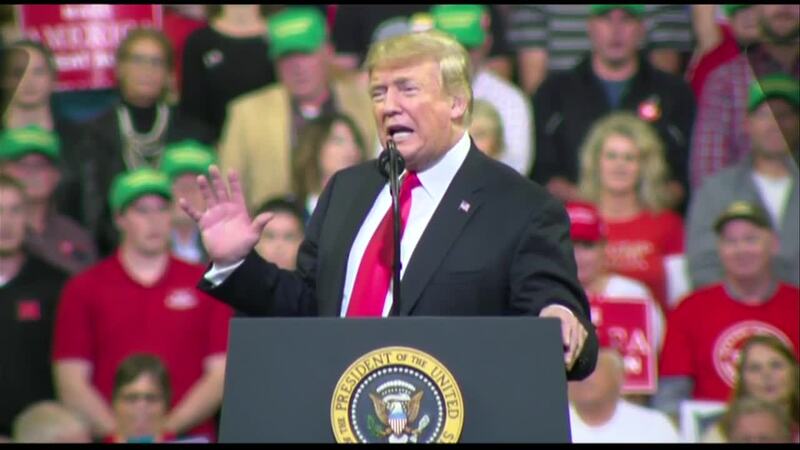 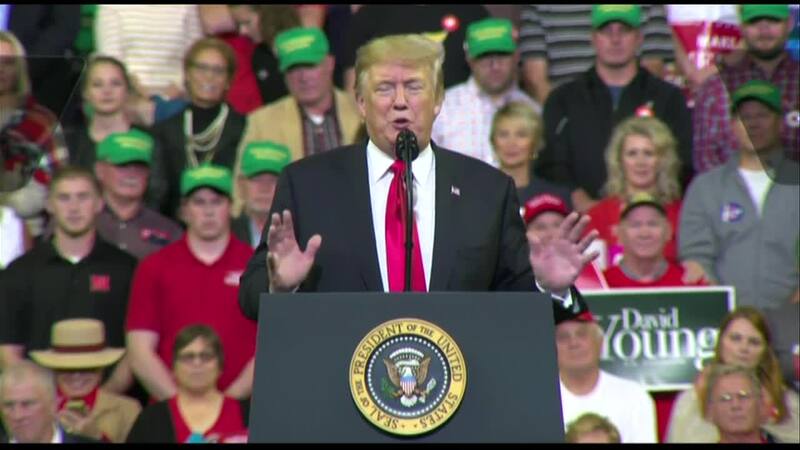 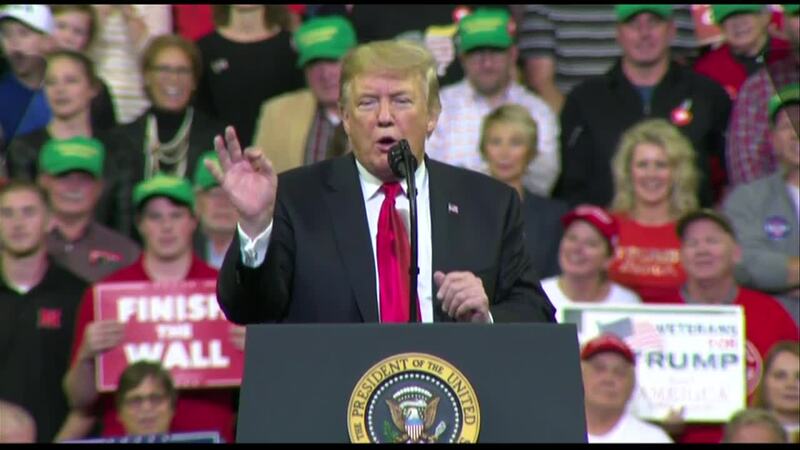 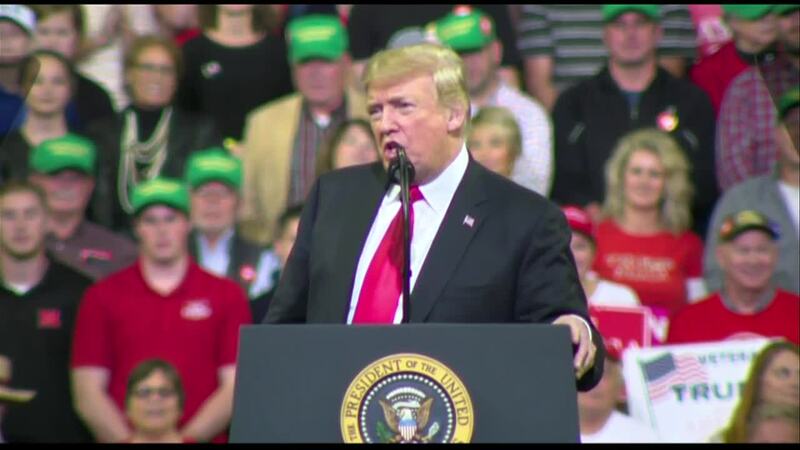 At the rally, President Donald Trump gave his endorsement to local Republicans running for re-election in the November midterms, bringing some of them up to the podium. 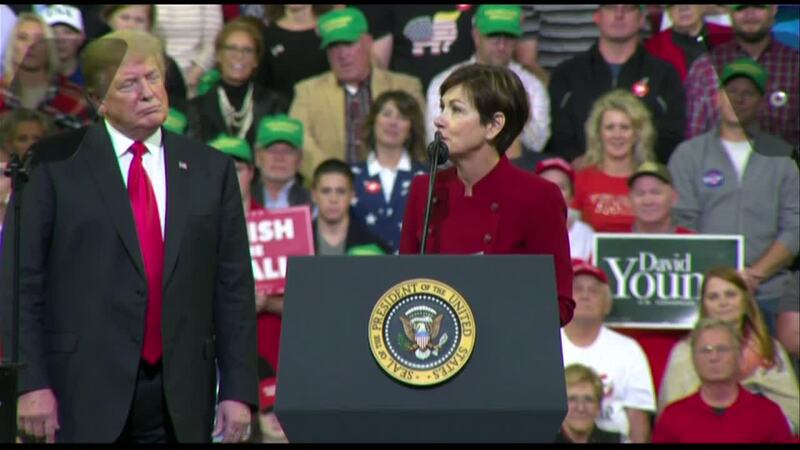 He also spoke about today's announcement allowing the sale of E15 ethanol blends year-round . 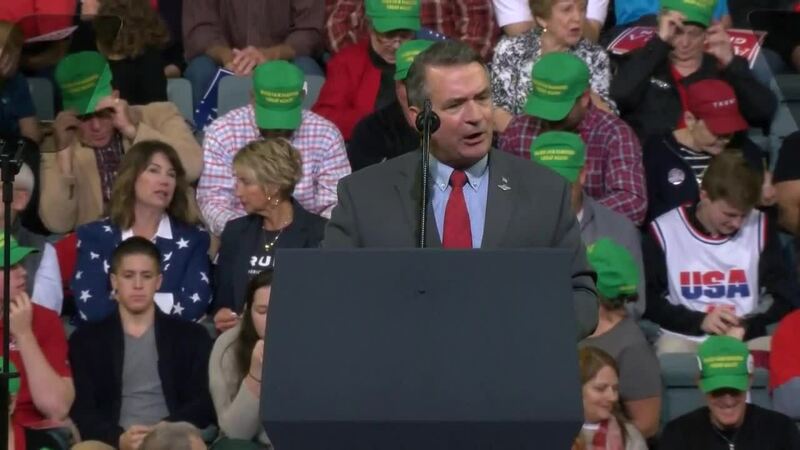 Rep. Don Bacon , running for re-election as Nebraska's 2nd district Congressman, spoke ahead of the president's arrival at the Mid-America Center. 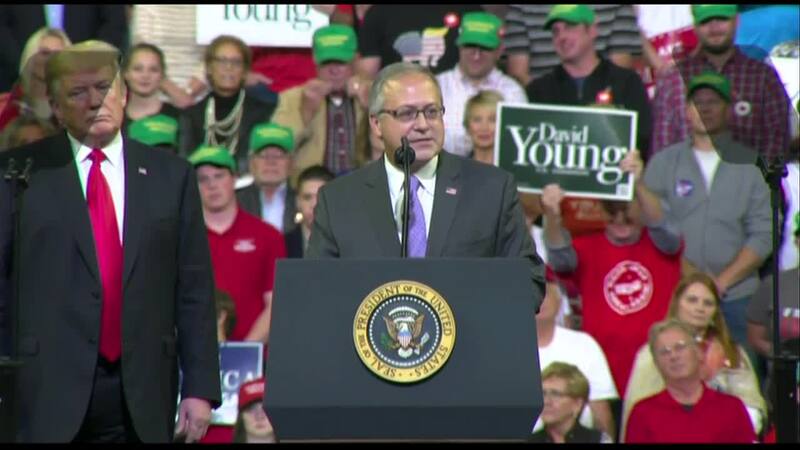 Congressman David Young , running for re-election as Iowa's 3rd district representative , spoke after Bacon. 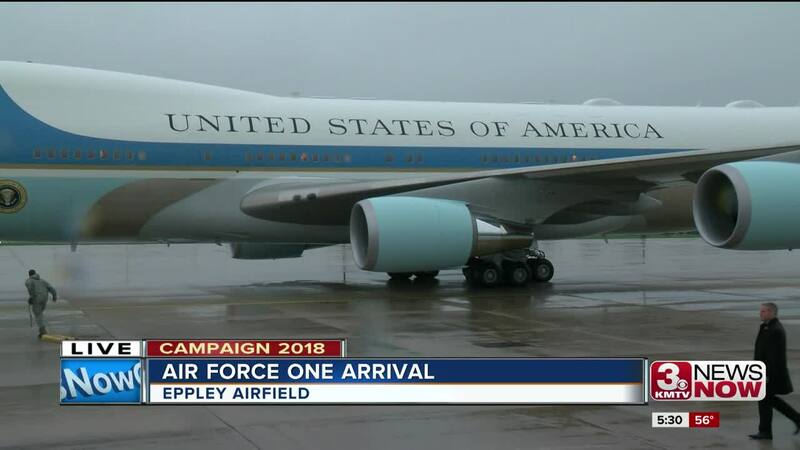 Air Force One departed Eppley within about an hour of the end of the rally. 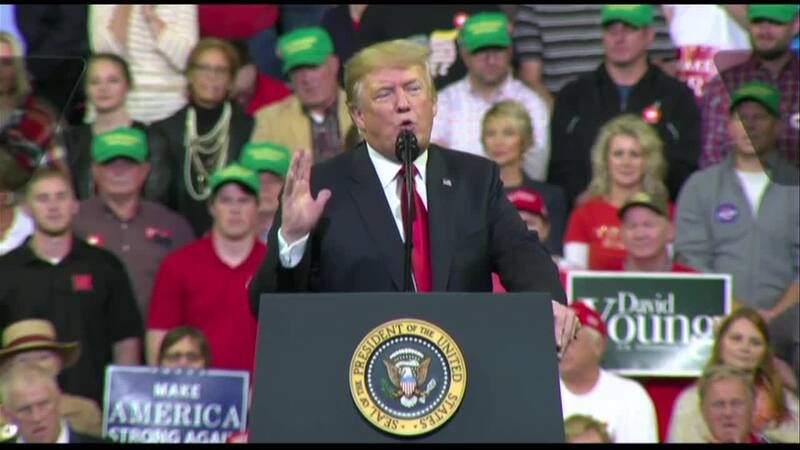 Watch video excerpts of the rally in the carousel above, or in the 3 News Now app for TV and mobile.